BMW CCA such an excellent experience and value. INTRODUCING $50 FOR 50! WANT TO WIN A $50 SHELL FUEL CARD? 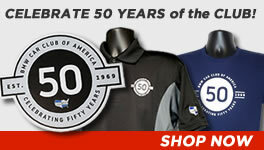 BMW CCA is the largest single-marque car club in the world! Join for special benefits! Rebates on new/certified BMW’s! Roundel Magazine! Exclusive Club Driving Events! Discounts! Learn more! Chance to participate in our annual car raffle. We gave away 9 cars last year! 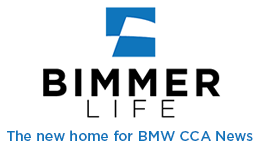 The BMW CCA has announced a major update to the Membership Reward Rebate Program. Individuals who purchase a club membership of three or more years will now immediately qualify for the Membership Reward Rebate Program and may be eligible to receive a rebate of $250 to $1,500 back on the purchase or lease of a new or certified pre-owned BMW. Yes, that means you can now skip the old waiting period of 365 days and immediately apply for a rebate with this new option! This Corporate Rebate Program is offered to our members by BMW of North America. Get the full details at bmwcca.org/vehicle_rebate. Have you already submitted a rebate? You can check your rebate status online. Membership brings with it many valuable services. The volunteers and staff listed below are here to offer help with your membership, maintenance, and dispute resolution. National Board of Directors: Comprised of the Executive Board and the Regional Vice Presidents, these elected leaders determine and enforce club policy. National Office Staff: The National Office handles questions about membership, address changes, chapter transfers, and general club policy for individual members. The office is open Monday through Friday between 8:30 AM and 5:00 PM. Technical Service Advisors (TSA): These experienced technicians can help you with maintenance or repair problems. Ombudsmen: If you’ve made every effort to resolve a continuing dispute with manufacturers, dealers, repair shops, parts suppliers, or others, our Ombudsmen can serve as an intermediary for you. With chapters across the country, you are sure to find fellow lovers of the marque near you! Every BMW CCA member is assigned to a chapter based upon their ZIP code by default. You may contact the National Office to transfer to a different chapter. We're working on a new gift membership form. Until it is finished, please give us a call toll free at 1-800-878-9292 and we'll be happy to complete your gift membership request! Members are eligible for exclusive discounts and services—including up to $1,500 in rebates on the purchase or lease of a new or CPO BMW! Purchase a gift membership for that other enthusiast in your life and share the excitement that is BMW CCA. For every gift membership purchased by a member, you will receive $5 in CCA Bucks and both you and the recipient will be entered into our annual membership drive.